Miscellanous » Join Me At Chopped Con! Join Me At Chopped Con! If you’re in the Kansas City area, you won’t want to miss this. 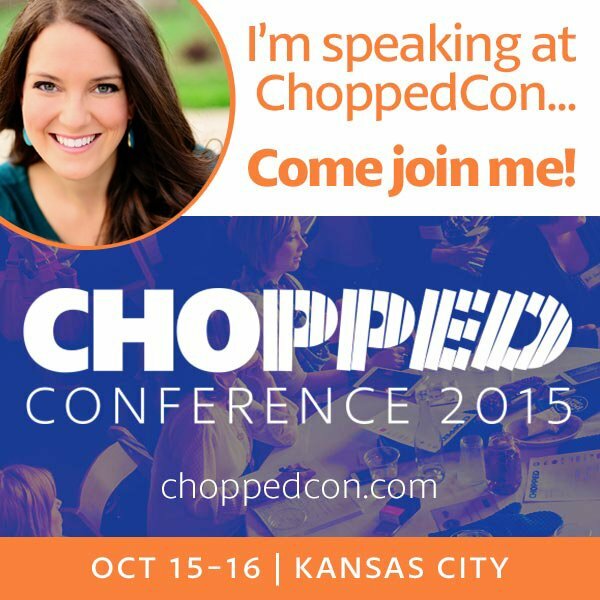 As many of you know, Kansas City is my hometown so I’m excited to be returning there in October to speak at Chopped Con. They’ve got a brilliant group of speakers lined up, including the folks behind I Am Baker, Six Sisters Stuff, The Blogger Network, The Lemon Bowl, and more! I’ll be covering the topic of how to get a book deal, and I’m looking forward to hearing from other experts on all things related to food blogging– including food photography, working with brands, creating videos, and various social media strategies. It will be an information-packed weekend! If you happen to be in the Kansas City metro area (or if you’re willing to travel there) I’m happy to give one reader a free ticket to this conference! Just leave a comment below letting me know you want to attend– the conference will be held on Friday, October 16th. And if you can’t make it to the conference, you can still hear me on the Chopped Podcast here. I hope to see some of you there in person! Yes! I’d love to attend! Congrats, Amanda– your’e the winner! Send me your full name and email address to detoxinista@gmail.com and I’ll let you know how to redeem your ticket for this upcoming Friday’s event!